This announcement blog post is a "little" late. 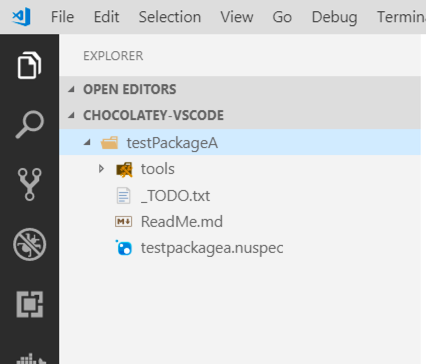 The first version of this VS Code Extension was created back in January 2016, however, it is only recently that it has been given a new lease of life, with some additional functionality around executing Chocolatey commands from within VS Code. As a result, I thought this was a good time to introduce it properly. 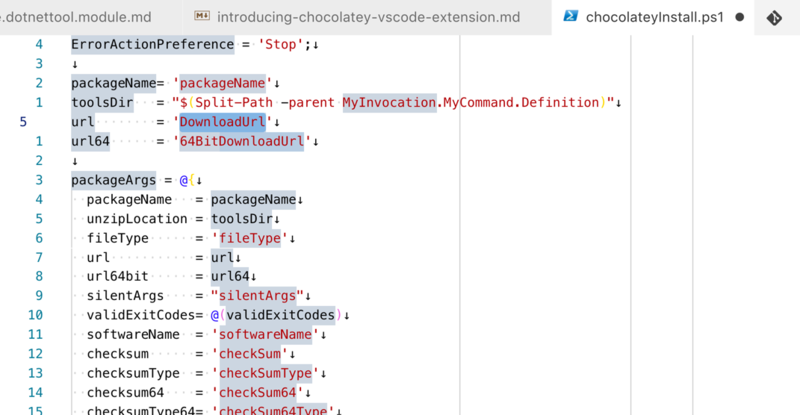 The Chocolatey Extension for VS Code brings with it a number of commands and snippets to help with the creation and packaging of Chocolatey packages. 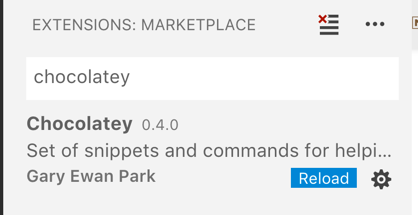 There are plans for adding more commands into the extension as time permits, and if you are interested in helping out with adding more functionality, please feel free to get in touch. When getting started with Chocolatey, it can be a little daunting to get up to speed with the various commands that are required to create, pack and push, Chocolatey packages. While there is extensive documentation to guide you through this process, it can be a little overwhelming. 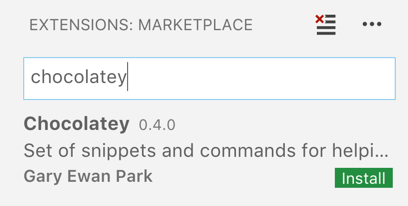 This extension is an attempt to help with some of these tasks, to help guide you through this process, via the use of snippets, and most recently, commands. When prompted, click the Reload button. After selecting one, you will then have the option of pressing the tab key on your keyboard, to start stepping through the various parameters, filling in the ones that are required. The snippets that are generated are based on the Chocolatey Best Practices from the output of the default template from the choco new command. To have the generated *.nupkg files placed into a different directory, rather than being generated next to the nuspec file. The execution of the Chocolatey commands in this extension would not have been possible without the amazing work of the Ember CLI VS Code extension, as this was used as the basis for creating this feature in this extension. Huge thanks to Felix Rieseberg.